"I'm not cheap ok, I think every person should coupon. If you have the opportunity to save money, why wouldn't you?" Words to live by from an unexpected source, a three-time NFL Pro Bowler. Yes he is an extreme couponer. I stand corrected, as Keith told me "I wouldn't call myself an extreme couponer. I would say I'm an advanced couponer." Semantics. Nowadays you can find Sims all over South Florida; Working as a radio sideline reporter for the Miami Dolphins on 940 WINZ. Or as a television reporter on WFOR's "The Finsiders." Patrolling the sidelines at one of his son's Storm's football games, or KJ's gymnastic classes. And of course at Publix, where they fondly call him the "coupon guy." Impressive, huh? Yeah, he knows what he's doing. ME: I have no idea what your salary was as a professional athlete, but I'm assuming that money isn't a huge issue for you, so why the interest in couponing? KEITH: I did do quite well for my time in sports, but I also did get divorced. So anyone that has been divorced knows how costly that can be. And I have five children; and four boys and of course boys can eat, and I think everybody should be saving money. ME: I am embarrassed to admit I've never clipped coupons in my life, what are your top tips for people getting started? KEITH: Number one, get to know all your local supermarkets' policies because they all have different coupon policies. 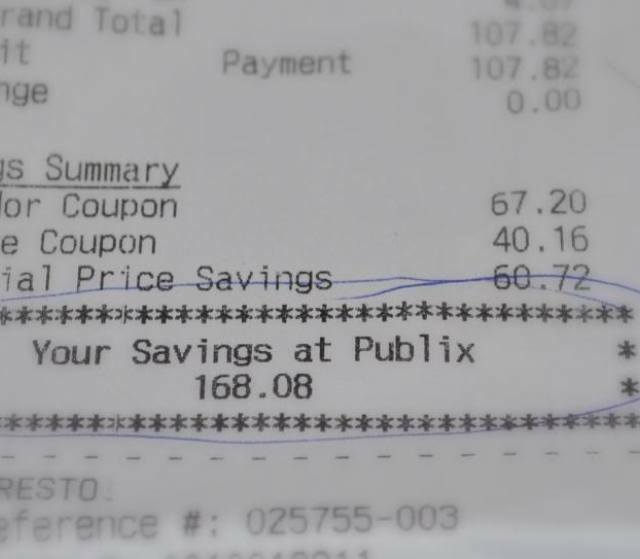 Some stores like Publix take competitors coupons, so that's why you have to know the coupon policy. Any way you can - and I am NOT a dumpster diver, but you need to get as many Sunday newspaper inserts as possible. We actually pay for eight Sunday newspapers that are delivered to our house every week. It allows you to get multiple items and stock up. Because that's the true key in buying things on sale and doubling up coupons, it's you have to take advantage of a great deal and stock up. Plan, Plan, Plan -- Plan for what sales are. Every store puts their flyer out usually the day the sale starts. Publix comes out in the state of Florida on Thursday. So Thursday morning I'm on the website looking at all the BOGO's which also helps us plan our meal menu each week. 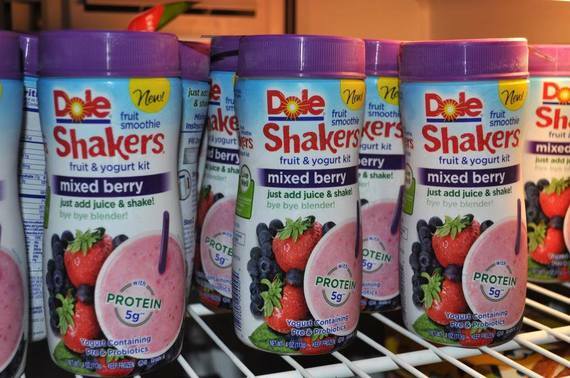 Buy coupons on Ebay -- For example, this past week the green flyer in Publix had Dole frozen smoothies on sale, they were $1.99 for two. There was a coupon in the Sunday insert that had $1 off each, so you buy two and get a penny back. So I showed that to my daughter and I told her I'm going to order some coupons. So I went on Ebay and I bought 40 coupons for $2.50. And now I have 60 Dole frozen smoothies. Make a vow to yourself, never to go to the supermarket without a coupon. KEITH: I've got it down now where I'm spending two hours a week. That's including Sunday taking all the inserts out and I flip through them really quick. 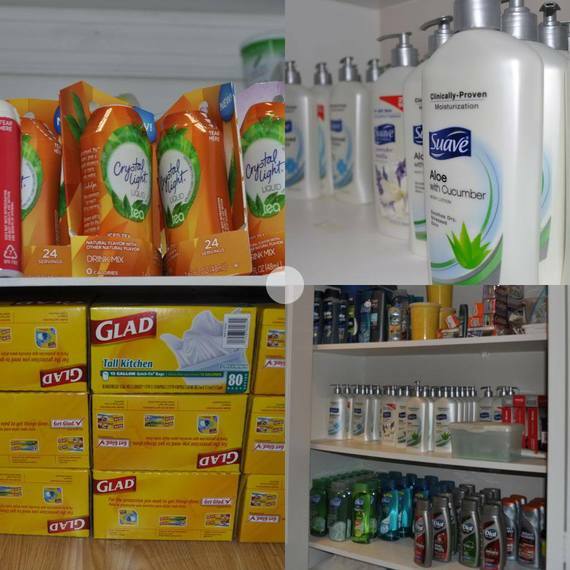 Once you know the products you use, you'll know the coupons. It's harder to coupon good healthy food, we switched to all organic meat. Like last week I got Greenwise chicken thighs and Porterhouse steaks on sale, and gave those to the chef. ME: You coupon yet you can afford to hire a private chef? ME: What's the biggest savings you ever had? 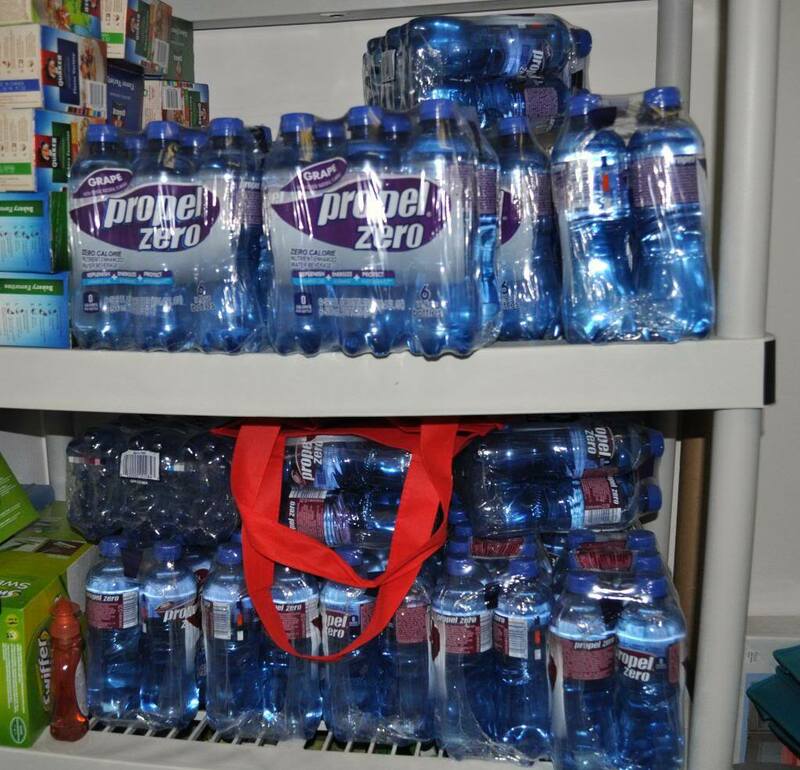 KEITH: I bought Propel Zero, Publix had a sale 20-ouncers for $1 each, and I had a coupon for $2 off two. So I went to Publix and I ordered 216 which ended up being 19 cases. And I paid $6 dollars for it. 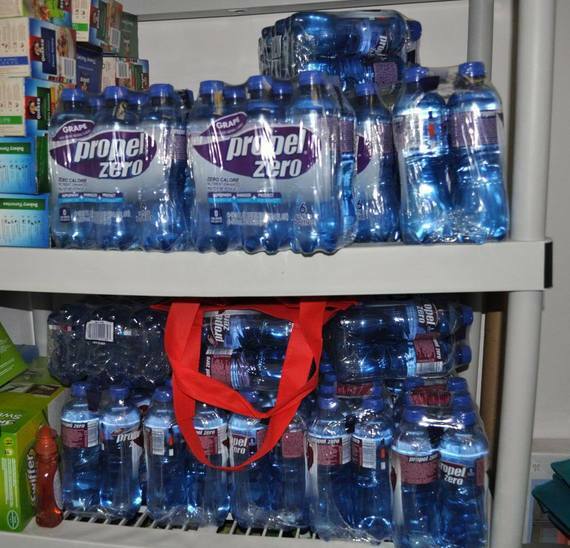 Thanks to Keith and Tia for letting me into their home, and sharing their pantry photos and savings tips! I found the story full of irony and wildly amusing because of Keith's success in the NFL. But the more I talked to him and learned why he does this, it really made me admire Keith for taking such great care of his family and his future. It's rare to find an ego-less athlete these days who truly puts family first. And as Keith told me, "football was what I did, it's not who I am." An excellent lesson for us all.